Online presence has become the need of an hour for businesses in this digital era. If you are still waiting on the fence, then it is time high time you have a website designed. 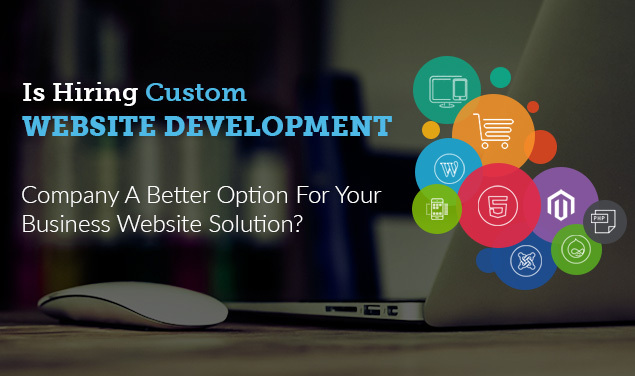 You can Hire Custom Website Development Company, or a freelancer, or do it yourself. Let’s understand the different options that are available. Small or start up companies are usually tight on budget, and thus DIY website builder app is an appropriate option for them. Website building software will help you build a site using pre-designed templates, images and many other valuable features. In short, DIY website building tool takes care of many aspects required for getting your business site up and running. Website builder is helpful to create a rudimentary design, but there are limitations of using graphics and text. Therefore, to build user-friendly and SEO based website there will be a need to approach professional web designers. Hiring freelancer or custom website Development Company – Which is the best option? Web design supports communication process for any business. Therefore, appearance, visibility, content and usability are most vital aspects to consider. It means all information and resources placed on your website have to be relevant to your niche and targeted audience. The website needs to have simple and navigable UX with appropriate incorporation of text and graphics. Remember, SEO measures the use of relevant keywords, which needs to be taken into consideration to enhance search visibility online. Only a skilled and knowledgeable web designer will know how to create a website that meets client requirements, without compromising on the above mentioned aspects. Web designers can be categorized into graphic designers and programmers. Programmers translate visual designs into computer language like HTML. They make use of their programming skills for creating back-end programs, which allow website user perform the necessary tasks. Graphic designers try different creative ways to improve the visual appeal of the website. They also make sure it is compatible with all the browser types, to increase viewership. A user-friendly website enables the users to navigate easily, while sending and receiving information to back-end servers. 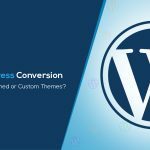 What difference does it make if you hire a freelancer or a custom website development company for your web creation project? Basically, they are well trained as well as equipped with necessary skills and knowledge for creating aesthetically pleasing website and writing codes. Therefore, hiring a freelancer or design agency hardly makes a difference for businesses as long as they get visual, functional and incomparable masterpiece to launch an unparalleled online presence. Depending on the complexity of your website, you need to decide who to hire. 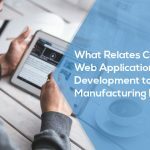 A custom website Development Company is always a better option because you hire a team with various skills and experience for the job to be done effectively. Customised website stands apart in the crowd because it is designed in accordance to your business specifications. It is tailored according to your products or services, in order to appeal the targeted audience, the uniqueness of your website will help you build your business brand. The web designer team will brainstorm and evaluate your products. However, the business owners will need to communicate the purpose of their website like do they desire to make online sales or walk-in-sales or for informational purpose and more. They will then direct their strategies to fulfil your online presence goal. An effective online presence will definitely help in business development. You will need a website with scalability to fulfil the current and future business demands. A custom website design can easily do this without much stretch and accommodate your ever-growing business demands. 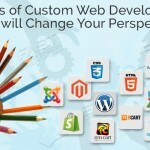 Make sure that you choose a Custom Website Development Company that also provides search engine optimization services. They will develop the website in such a that it is fully optimized for search engines, which will help your business in gaining more and more targeted customers in the long run. Such optimized web pages get indexed faster by search engines, and they get rewarded with better page rankings. Security is the top-most concern for online businesses. Hackers are constantly sneaking in viruses across the internet. DIY website builder does not assure proper security. Alternatively, knowledgeable and experienced designing team makes sure that they develop a website, which is free from potential threats. Digital technology keeps advancing rapidly, and everyday new technologies and strategies are being introduced to attract more and more targeted audience. With the help of professional web designers and developers, you can be sure that your website is as per the new strategies and technologies. 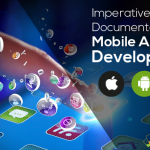 Fast Conversion has a dedicated and an expert team specializing in different types of web and mobile application technologies. They research, analyse, design, code, test and launch as well as support your website in a long run. 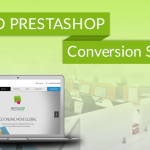 To know more about the custom development offers and flexible engagement model, you can contact us directly on sales@fastconversion.com and our expert team is ready to serve you.